Muscat: Effective July 1, 2014, the 'two year ban' on expat workforce in Oman will be back. 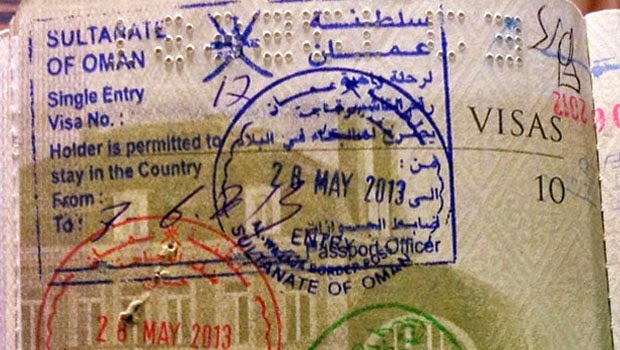 In an announcement, the Royal Oman Police (ROP) has said no employment visa will be issued after July 1, 2014 to any foreigner who previously worked in the Sultanate and has not completed two years from the date of last departure, in keeping with the requirements of expatriates residency law and its implementing regulations. The step is being taken in coordination with the authorities concerned with recruitment of foreigners. A reliable source at the ROP explained that the law has been in existence for a long time but is being enforced now. "The ROP decided that it was the right time to activate the law as we have received many recommendations from businessmen and enterprise owners," said the ROP source. "The decision bans the expatriate workforce to join another company before completing two full years from the date of departure," said the ROP source. If an expatriate worker has not completed two years after departure and is called to rejoin the same company after leaving the Sultanate, then such a worker will be exempt from the new decision. Salim Al Ghammari, a member of the Municipal Council, said, "It is a positive move by the Royal Oman Police to put in place some controls in the expatriate employment." The decision will help maintain a balance in issuance of visas for different nationalities, he noted. "Controlling the number of expatriates will help in regulating the labour market in Oman, especially if the government stops issuing visas to those expatriates who did not complete two years after leaving the Sultanate," said Al Ghammari. He further added that the Council had recommended strict regulations for bringing expatriate workforce to the Sultanate. It looks like Oman issues decisions without a big fight from opponents, maybe it's because the people of Oman want what's best for their country? I think it is because the people of Oman are willing to work and take menial jobs whereas in OTHER countries, those citizens would not. True, I was surprised to see Omanis working in the hotel but appreciated the fact they really work, kind of like the US, my first job was at Burger King and then Little Caesars making pizza. When we were teenagers we were trying so hard to get a bagging job in the supermarket, that was a good paying one.